Some time in March I met up with some old colleagues/friends and of course we all got to chatting about what we’re working on at the moment. As it happened, Rob had just started working at a company run by a friend of our shared former boss, Matthew Allum. What he was working on sounded like it would be a lot of fun, and I had to admit that I was a little jealous of the opportunity… But it so happened that they were looking to hire, and I was starting to get itchy feet, so I got to talk to Kwame Ferreira and one thing lead to another. What this has meant in real terms is that we’ve been researching and implementing a skeletal tracking system (think motion capture without any special markers/suits/equipment). 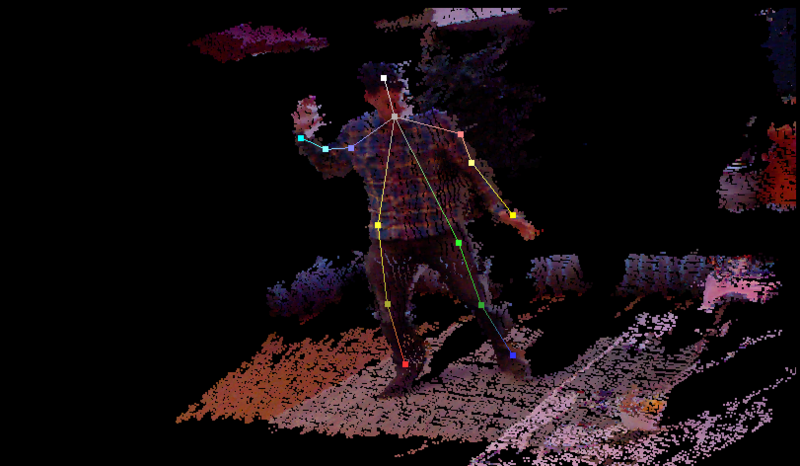 We’ve studied Microsoft’s freely-available research on the skeletal tracking system for the Kinect, and filling in some of the gaps, implemented something that is probably very similar. We’ve not had much time yet, but it does work and you can download it and try it out now if you’re an adventurous Linux user. You’ll have to wait a bit longer if you’re less adventurous or you want to see it running on a phone. I’ve worked mainly on implementing the tools and code to train and use the model we use to interpret body images and infer joint positions. My prior experience on the DeepSpeech team at Mozilla was invaluable to this. It gave me the prerequisite knowledge and vocabulary to be able to understand the various papers around the topic, and to realistically implement them. Funnily, I initially tried using TensorFlow for training, with the mind that it’d help us to easily train on GPUs. It turns out re-implementing it in native C was literally 1000x faster and allowed us to realistically complete training on a single (powerful) machine, in just a couple of days. Though I’ve taken this from the Impossible website, this is seriously what it looks like. There is actually a piano there, and it’s in tune and everything. There are guitars. We have a cat. There’s a tree. A kitchen. The roof is glass. 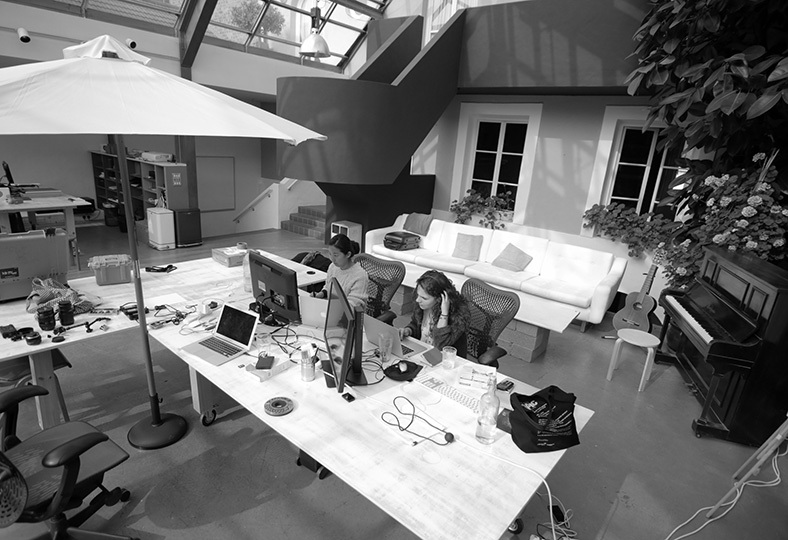 As amazing as Mozilla (and many of the larger tech companies) offices are, this is really something else. I can’t overstate how refreshing an environment this is to be in, and how that impacts both your state of mind and your work. Corporations take note, I’ll take sunlight and life over snacks and a ball-pit any day of the week. I miss my 3-day work-week sometimes. I do have less time for music than I had, and it’s a little harder to fit everything in. But what I’ve gained in exchange is a passion for my work again. This is code I’m pretty proud of, and that I think is interesting. I’m excited to see where it goes, and to get it into people’s hands. I’m hoping that other people will see what I see in it, if not now, sometime in the near future. Wish us luck! This would define a transition that would grow and fade in an element as the user scrolled it towards 100px down the page, then shrink and fade out as you scrolled beyond that point. But then Paul Rouget made me aware that Anthony Ricaud had the same idea, but instead of this slightly arcane syntax, to tie it to CSS animation keyframes. I think this is more easily implemented (at least in Firefox’s case), more flexible and more easily expressed by designers too. Much like transitions and animations, these need not be mutually exclusive though, I suppose (though the interactions between them might mean as a platform developer, it’d be in my best interests to suggest that they should :)). I’m not aware of any proposal of this suggestion, so I’ll describe the syntax that I would expect. I think it should inherit from the CSS animation spec, but prefix the animation-* properties with scroll-. Instead of animation-duration, you would have scroll-animation-bounds. scroll-animation-bounds would describe a vector, the distance along which would determine the position of the animation. Imagine that this vector was actually a plane, that extended infinitely, perpendicular to its direction of travel; your distance along the vector is unaffected by your distance to the vector. In other words, if you had a scroll-animation-bounds that described a line going straight down, your horizontal scroll position wouldn’t affect the animation. Animation keyframes would be defined in the exact same way. [Edit] Paul Rouget makes the suggestion that rather than having a prefixed copy of animation, that a new property be introduced, animation-controller, of which the default would be time, but a new option could be scroll. We would still need an equivalent to duration, so I would re-purpose my above-suggested property as animation-scroll-bounds. What do people think about either of these suggestions? I’d love to hear some conversation/suggestions/criticisms in the comments, after which perhaps I can submit a revised proposal and begin an implementation.